My device is with an optical limiter , dynamic noise gate, buffered bypass and pre / de emphasis. ICs are 2x TL072 and SA571.The function corresponds to the TSR Tower. What do you intend to do? Sell your gadget or share information? Selling. However, I can provide information on pre/ de emphasis, for TSR very important. I don't think 10nF is right for C7. That creates a lowpass filter and completely destroys the pre-emphasis. I think 100pF is right. 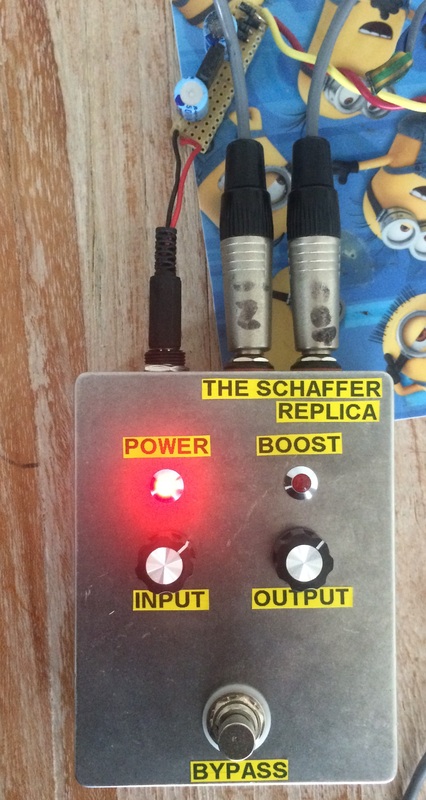 i've built this with boby6kiler's latest layout, changing c7 to 100pf as triplesevener suggusted, it does work and sound good, but im also stuck on the D3 diode. There is a bit of hiss in the sound without the D3 diode connected, i've tried a few diodes that i have on hand, no difference with 1n4148, 1n4742, 1n4749, 1n4004, 1n5817, sr560. I did have partial success with a 1n4739, but it heats up and blows within about 20 seconds, but it does remove the hiss and work properly temporarily. I tried running it on 9v and it is hiss free without D3 in the circuit, its a bit more compressed than running at 12v but still very usable. I've got 1n4761 on order so ill try one of those when they arrive. Anyone have any ideas on the value of the D3 diode? Leave it out. That power supply section drawing is a mess. If it's a standard silicon or schottky diode, it doesn't do anything. If it is a zener, then the 10R resistor is definitely wrong. I don't see any reason why the supply voltage should be dropped at that point. It will run fine on 9V or 12V. 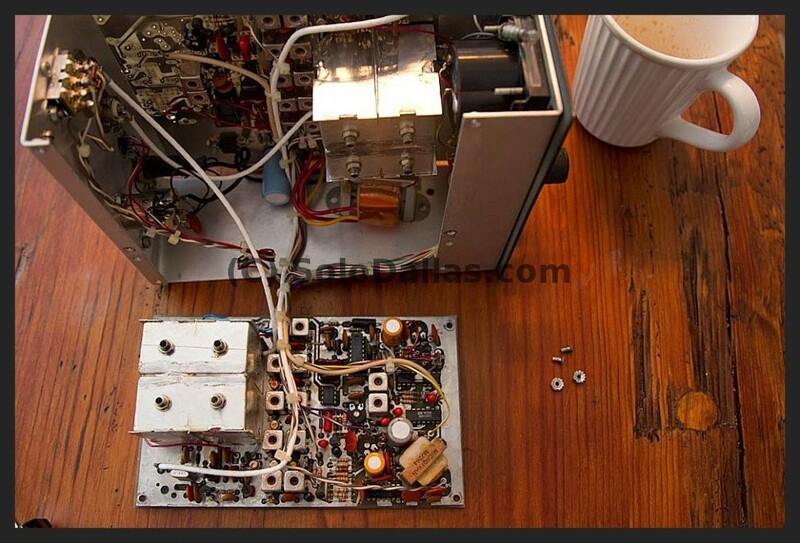 The ps section emulates the same voltages as the transmitter (9v battery supply) and the the receiver (12v internal ps), however, they could not simulate the first NE570 half at 9v and the other half at 12v... Probably it does not affect the final result. It is not my intention to bother with the great development that you are doing here, but I think we are being deceived by the gossip of the manufacturer of this replica about the need or the "magic" of including a compandor IC. The need to compress and expand the audio signal is to improve wireless transmission, but if the idea is to reduce this to pedal format it would not be necessary to do this process. If we analyze the circuit already obtained we could completely eliminate the SA571, join with a wire the legs 6 and 10 at the socket of that chip. 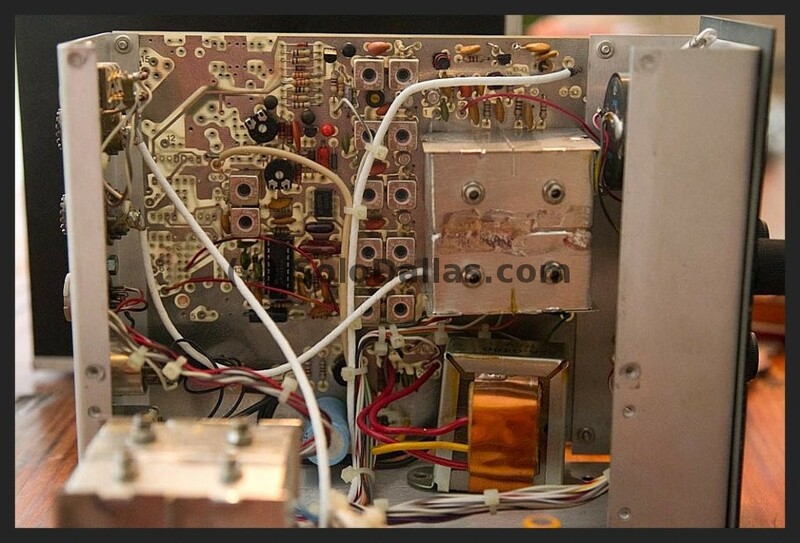 In this way we will have an opamp handling the input of a 2W audio chip, which would resemble all this to a Lovepedal Black Magic, Jubilee or the like, but using different audio amp than the LM386. Perhaps the "magic" reside only in the buffering action of this chip without have to drive an loudspeaker ?? Just discover this thread today and search the web about read more on this replica. I'm currently involved in other time consuming projects, but will breadboard the schematic discussed here ASAP to see what can hear. I'm in doubt that the use of a compressor-expander IC merely chained as this manufacturer does -with the surrounding passive component values that appear in the schematic- make the desired sound. If in the mentioned chip at one of the boards already built and running by participants of this thread can be tied its input and output pins to the outer tabs of a spdt and from the central contact feed the LM380 with a pre or post processed signal, we can confirm the need (or redundancy) to place a compander at the flip of this switch. SVDS is a mic wirelless system modified to work with guitar. Something that I realise when I was teenager comparing some wireless mic and wired ones: when we expand a compressed signal it does not sound always like the original signal, it sounds more like a compressor in addiction it bossts some frequencies. I breadboarded that circuit various arrangements and I have no doubt that the heart of that circuit is the compander chip, I tried a IC gain stage (tl072 like mxr microamp), LM386 and LM380 in the output booster with almost no difference. Thank you very much for all your hard work on this project! I was looking for infos like those since longer time. So I was really glad to find rhis thread! But the image links in this post are all broken is there a chance you could re-post them? Or send them via PM? That’d be awesome! !